Voice disorders affect one in ten adults in their lifetime. They often affect people whose work depends critically on voice, such as teachers, coaches, salespeople, politicians, and singers. The singer Adele, for example, cancelled a tour in 2011 because of voice problems, but good treatment allowed her to make a successful comeback. Voice problems can lead to loss of employment and depression. Most problems can be prevented or self-managed. Treatments for major problems range from exercises to injecting a drug into the patient’s throat or other types of surgeries. Researchers are now looking at ways to diagnose some problems using lasers instead of doing biopsy which involves minor surgery. Dr Karen Kost is a medical doctor and Director of the Voice Clinic at the Montreal General Hospital. She can comment on screening, therapy and what is good “vocal hygiene”. 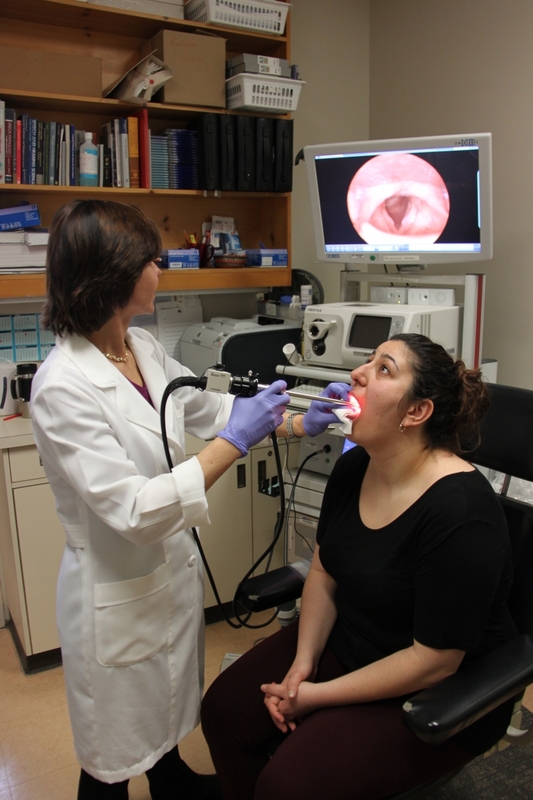 Prof Nicole Li, Assistant Professor of Faculty of Medicine at McGill, is in charge of a research lab on voice disorders. She can talk about voice therapy and the research behind that. Corina Vincelli is a professional singer and was treated for voice problems at Dr Kost’s clinic.